While searching for the pickle in the tree and refusing to acknowledge any Clintons that aren’t George, Sanders that aren’t Barry and Trumps that aren’t playing cards, spare a thought to a film still struggling to validate its identity. In a recent poll, the greatest Christmas movie ever was deemed to not be a Christmas movie at all. The tragedy here is clear: it’s time to recognize the holiday overtones of the robbery at Nakatomi Plaza because Die Hard is a Christmas movieº. This year’s edition of this particular, peculiar struggle began with the above poll, which seemingly occurs every year in some form or another and has yielded various results. In 2010, for example, Empire magazine named Die Hard the greatest Christmas movie ever, which, yeah, simple enough. Mr. Page presents a common counterpoint to the “Die Hard is a Christmas movie” syndicate, that simply because the film occurs on Christmas Eve does not necessarily make it a Christmas film. Ceteris paribus, that is a fair notion. The fact that Michael Collins features Easter Sunday does not make it an Easter movie. Likewise, though it is set around the holidays, Diner is not a Christmas movie. How, then, does one approach the concept of a holiday film, and what constitutes one? That is fodder for master’s theses and bored Google searches (and, well, vaguely divisive, self-indulgent blog posts), but to at least some extent we can agree that there are certain canons of holiday films, the kind of movies that, without too much introspection, we can nonchalantly place into a certain basket alongside its acknowledged counterparts. In that vein, we explore Die Hard-as-Christmas movie as it stands next to other, generally accepted Christmas movies. That sounds a bit like the protagonist in another Christmas classic, no? Rudolph and John McClane follow similar story arcs, albeit in hugely different ways. They are both somewhat reluctant heroes, resigned to circumstance and forced into action with their backs to the wall. 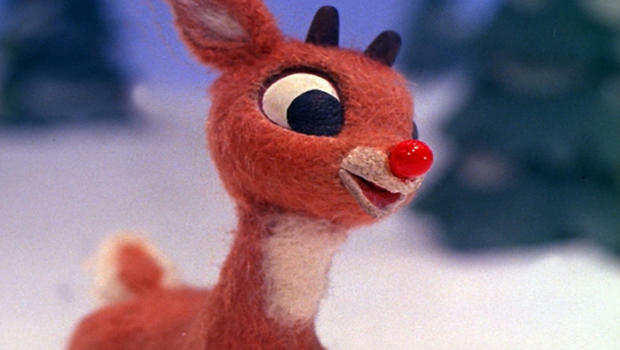 The carol named for Rudolph and his illuminated nostrils even inspired the name of a Ben Affleck action flick in 2000, Reindeer Games, which is absolutely not a Christmas movie whatsoever. – John McClane has to fight to gain respect from those who doubt him when faced with unforeseen circumstances: The aforementioned Rudolph is our baseline now. Buddy the elf in Elf takes the entire movie to earn his father’s approval, all while wearing wack clothing around Manhattan and dealing with another difficult, distant love interest, Zooey Deschanel. – McClane has an estranged family and is surrounded by death: Jingle All The Way does not spare Arnold Schwarzenegger’s Howard Langston a moment to be with his family, so he has to salvage time lost by scavenging for a toy for his son. The major connection here is It’s a Wonderful Life – specifically, the period during which George Bailey does not exist. His wife is an old maid. All thirty of his kids, along with Zuzu’s petals, do not exist. His brother died in a frozen lake incident, failing to become a war hero in World War II by saving his regiment, all of whom also perish. – While attempting to be helpful himself, McClane receives poor help from an unwanted source: In Die Hard, Harry Ellis is a cokehead executive that works for Holly’s company in Nakatomi Plaza. In his darkest, and last, hour, he attempts to negotiate with the primary antagonist in the film, Hans Gruber, on behalf of McClane. For his unsuccessful efforts, he gets killed. 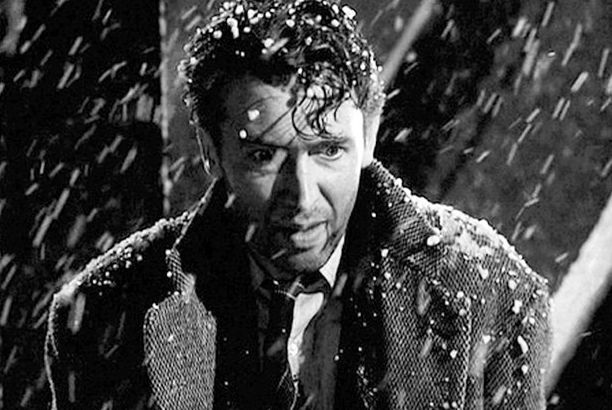 Again, we turn to It’s a Wonderful Life, but this time we’re focusing on Uncle Billy, who loses the $8,000 he was entrusted to deliver to the bank, sending Bailey Bank & Loan into possible bankruptcy, for which George would be held responsible. -While attempting to be helpful himself, McClane receives timely help from an unlikely source: Just when McClane realizes he can’t defeat the Gruber’s German thieves alone, Sgt. Al Powell arrives to the party, though it takes some convincing to get him to stay. Likewise, In whichever adaptation of A Christmas Carol you like, Ebenezer Scrooge deals with the Ghosts of Christmases Past, Present and Future, who talk him through his curmudgeonly ways. George Bailey is dragged out of a lake and, subsequently, into a bar by his guardian angel. In Bad Santa, The Kid, Thurman Merman, saves Willie Stokes from a homophobic man listed as “Hindustani Troublemaker.” The pigeon lady uses her sway with birds to swarm the crooks in Home Alone 2: Lost in New York. When, at his breaking point, Charlie Brown begs for the true meaning of Christmas in his own eponymous holiday special, Linus spits a few verses verbatim from the Gospel of Luke, specifically Lk 2:8-14. – McClane fights to get his love back: This is an absurdly broad claim to stake as being exclusive to Christmas films, but so many of them just so happen to include it: Jingle All The Way‘s Howard Langston, again, attempting to win his son’s affection through a material possession; Scrooge eventually has to win back Bob Cratchit’s respect; basically every character in Love, Actually has some kind of romance-redemption narrative. This could go on for another 1,400 words, but there is so much basketball ahead, to go along with unwanted political discussions and low-key stewing over not receiving what you wanted. Another connection there: “Come out to the coast, we’ll get together, have a few laughs” sounds like every empty holiday promise that family get-togethers are going to be a good time. Anyway, Die Hard is a movie for all occasions, to be certain, but during this holiday season, no matter what or if you’re celebrating, save some room for John McClane. Yippee-ki-yay, and ho-ho-ho. ºFor what it’s worth, depending on whether you’re a grade school teacher, you can refer to Wikipedia’s “List of theatrical Christmas films” for the more widely-accepted, populous-edited answer. ¹The first two, in order, are “Fairytale of New York” by The Pogues (featuring Kirsty MacColl) and “The Christmas Song” as sung by Nat King Cole, and only as sung by Nat King Cole. The third is “Santa Claus is Coming to Town” by Bruce Springsteen and the E-Street Band. 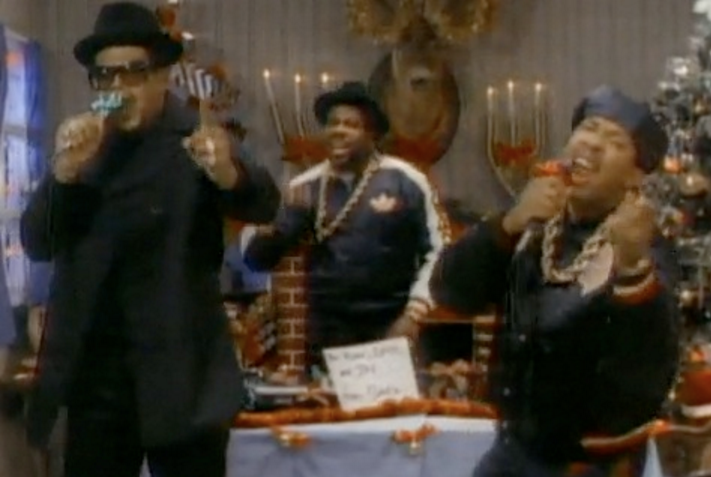 You can sub that out for “Christmas in Hollis” if you’d like. ²Another It’s a Wonderful Life connection: Like McClane, George Bailey receives help from a trusted driver, Ernie, and a policeman, Bert. 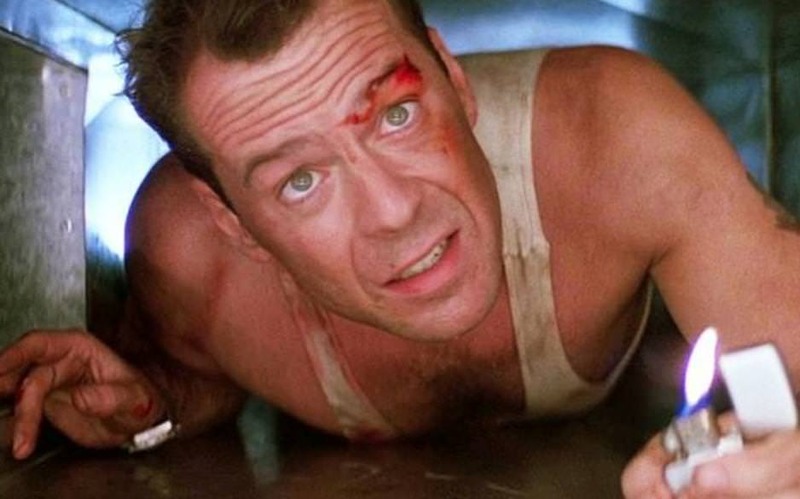 In very broad terms, one could argue that Die Hard is an abstract remake of that holiday classic. ³I know nothing of clothing design or the evolution of modern fashion.